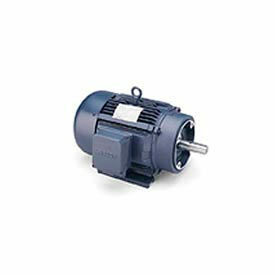 Baldor-Reliance Single Phase Premium Efficiency Motors Are Used For Conserving Energy Over Extended Time Periods. Baldor Single Phase Premium Efficiency Motors are constructed of a heavy gauge steel frame, copper windings, dynamically balanced motors and ball bearings for long lasting durability. Use where continuous or frequent duty is required and for compressors, pumps, conveyors, fans, machine tools and air conditioning units. Enclosure types are Totally Enclosed Fan Cooled and Open Drip Proof. HPs are 0.25 to 5. RPMs are 1200 to 3450 Specifications vary per model. 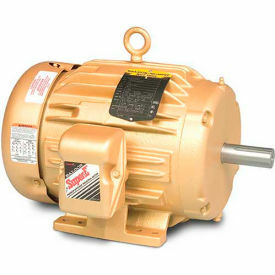 Baldor-Reliance 3 Phase Premium Efficiency Motors Are Designed For Use With Compressors, Pumps, Fans, Conveyors, Machine Tools And Other Applications Requiring Continuous Or Frequent Duty. 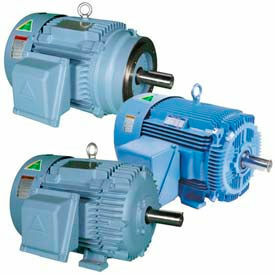 Baldor-Reliance 3 Phase Premium Efficiency Motors are made of heavy duty steel for long lasting durability. Features an open drip-proof design to prevent damage to motor for added safety and protection. High quality ball bearings for ease of use. Inverter Spike Resistant copper windings for greater reliability. Corrosion-resistant epoxy finish. HPs are 0.25 to 300. RPMs are 1155 to 3600 Specifications vary per model. Baldor-Reliance 3 Phase Premium Efficiency Totally Enclosed Motors Up To 5 HP Are Designed For Food Processing, Packaging, Outdoor And Highly Corrosive Environments Requiring Continuous Or Frequent Duty. Baldor-Reliance 3 Phase Premium Efficiency Totally Enclosed Motors Up To 5 HP are made of heavy gauge steel or cast iron frames for long lasting durability. Features a totally-enclosed design to prevent damage to motor for added safety and protection. Inverter Spike Resistant® copper windings for superior performance. NEMA Premium® efficiency. High quality ball bearings for ease of use. Low-loss electrical grade lamination steel for increased reliability. Hydrophobic aspiration system on select models. RPM, voltage, frame and HP vary per model. Package quantity is 1. UL and CSA approved. 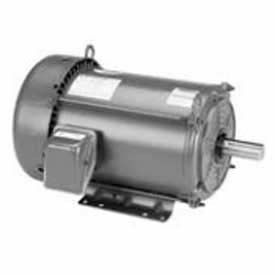 Baldor-Reliance 3 Phase Premium Efficiency Totally Enclosed Motors From 7.5 HP And Up Are Designed For Use With Compressors, Pumps, Fans, Conveyors, Machine Tools And Other Applications Requiring Continuous Duty. Baldor-Reliance 3 Phase Premium Efficiency Totally Enclosed Motors From 7.5 HP and up are made of heavy gauge steel or cast iron frames for long lasting durability. Features a totally-enclosed design to prevent damage to motor for added safety and protection. Inverter Spike Resistant® copper windings for superior performance. NEMA Premium® efficiency. High quality ball bearings for ease of use. Low-loss electrical grade lamination steel for increased reliability. RPM, voltage, frame and HP vary per model. UL and CSA approved. Hyundai Premium Efficiency Motors (Three Phase, TEFC) Are Designed For Both Reliability And Efficiency. Hyundai Premium Efficiency Motors (Three Phase, TEFC) have a TEFC enclosure for long lasting durability and strength. Choose from Rigid Bases or C-Face Rigid Bases in order to match the job at hand. HP ranges from 1 to 250 and voltages are either 460, 575 or 208-230/460. 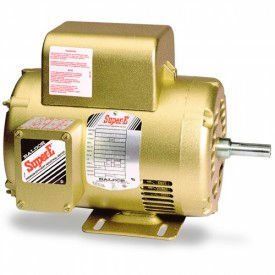 Motors are designed for Premium Efficiency and reliability. Available in a wide variety of frames for increased versatility. Weights vary. Leeson Premium Efficiency General Purpose, 3-Phase, TEFC Are Used For A Variety Of General Purpose Applications. Leeson 3-Phase, Totally Enclosed Fan Cooled Motors are constructed with a rolled steel or cast iron frame for long lasting durability. NEMA C face mount designed with machined face and pilot on shaft end allows direct mounting with pump or other direct coupled equipment. Bolts pass through mounted part to threaded hole in motor face. Totally enclosed enclosure with no vent openings is tightly enclosed to prevent free exchange of air, but not airtight. An external fan is an integral part of the motor providing cooling by blowing air around outside frame of motor on totally enclosed fan cooled enclosures. Suitable for use where exposed to dirt or dampness but NOT very moist or hazardous (explosive) locations. UL Listed and CSA compliant. 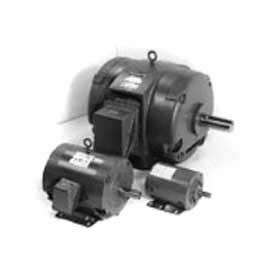 Motors are available in a range of Mounting styles, Service Factors, Frames and Voltages. Multiple Power levels and RPM are available. Marathon Motors Premium Efficiency Motors, 3 Phase Are Used For Conserving Energy Over Extended Time Periods. Marathon Motors Premium Efficiency Motors, 3 Phase are solidly manufactured for long lasting durability and dependability. 3 Phase, continuous duty motors have Totally Enclosed Fan Cooled (TEFC) and Open Drip-Proof enclosures and sturdy ball bearing construction to accommodate varying belt loads and tension. Wide selection of 208/230-460V, 230/460V, and 460V units are available in 1, 1.5, 2, 3, 5, 7.5, 10, 15, 20, 25, 30, 40, 50, 60, 75, 100, 125, 150, 200, 250, 300, 350, 400, 450 and 500 HP, 1200, 1800 and 3600 RPM and various C Face Rigid and Rigid mountings. Marathon Motors EPAct Efficiency Motors, 3 Phase, Drip-Proof Are Used For General Purpose Commercial Or Industrial Powering Applications. Marathon Motors EPAct Efficiency Motors, 3 Phase, Drip-Proof are solidly manufactured for long lasting durability and dependability. Designed to meet EPAct Energy Efficient standards that could result in commercial or industrial tax deductions for use. 3 Phase, continuous duty motors have tight drip-proof enclosures and sturdy ball bearing construction to accommodate varying belt loads and tension. Wide selection of 208/230-460V, 230/460V, 200V and 460V units are available in 0.33, 0.5, 0.75, 1, 1.5, 2, 3, 5, 7.5, 10, 15, 20, 25, 30, 40, 50, 60, 75, 100, 125, 150, 200 and 250 HP, 1200, 1725, 1800, 3450 and 3600 RPM and various C Face Rigid and Rigid mountings. Marathon Motors EPAct Efficiency Motors, 3 Phase, TEFC And TENV Are Used For General Purpose Commercial Or Industrial Powering Applications. Marathon Motors EPAct Efficiency Motors, 3 Phase, TEFC And TENV are solidly manufactured for long lasting durability and dependability. Designed to meet EPAct Energy Efficient standards that could result in commercial or industrial tax deductions for use. 3 Phase, continuous duty motors have Totally Enclosed Fan Cooled (TEFC) and Totally Enclosed Not Vented (TENV) enclosures for dust tight operation and sturdy ball bearing construction to accommodate varying belt loads and tension. Wide selection of 208/230-460V, 230/460V, and 460V units are available in 1, 1.5, 2, 3, 5, 7.5, 10, 15, 20, 25, 30, 40, 50, 60, 75, 100, 125, 150 and 200 HP, 1200, 1800 and 3600 RPM and various C Face Rigid and Rigid mountings. Worldwide Electric General Purpose T-Frame Motors (Three Phase, TEFC, 208-230/460V) Can Be Used In A Wide Variety Of Motor Applications. Worldwide Electric General Purpose T-Frame Motors (Three Phase, TEFC, 208-230/460V) have a TEFC enclosure for long lasting durability and strength. Class F insulation provides added protection and reliability. 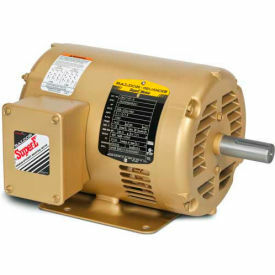 Motors are NEMA Premium Efficiency. Available mountings are Rigid or C-Face Rigid. 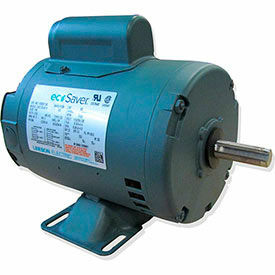 Motors are designed for versatility with voltages of 208-230/460 and 575. EISA Compliant for high efficiency and high torque action. Also suitable for 50 Hz operation with 1.0 service factor. Horsepower ranges from 1 - 200. RPMs are 1200, 1800 and 3600. Available in a wide variety of frames for increased versatility. 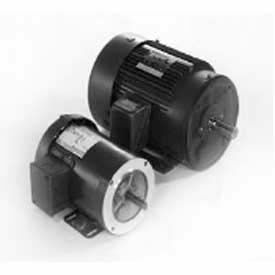 Leeson Premium Efficiency General Purpose Drip Proof Single Phase Motors Are Designed For Use On Machines Requiring Continuous Or Frequent Duty. Leeson Premium Efficiency General Purpose Drip Proof Single Phase Motors are made with a rolled steel frame for long lasting durability. Motors have sturdy drip proof enclosures that are intended for use in areas where water and dust exposure is minimal. High-quality ball bearings for ease of use. HP range from 1/4 to 2. Mountings are C-Face Footless, C-Face Rigid, Resilient Base and Rigid. RPM and additional specifications vary by model. Complies with the Dept. of Energy Small Motor Rule 2010 which took effect March 2015. Leeson Premium Efficiency General Purpose Drip Proof 3-Phase Motors Are Designed For Use On Compressors, Pumps And Other Machines Requiring Continuous Or Frequent Duty. Leeson Premium Efficiency General Purpose Drip Proof 3-Phase Motors feature a rolled steel frame for long lasting durability. Sturdy drip proof enclosure is intended for use in areas where conditions are relatively clean and dry. 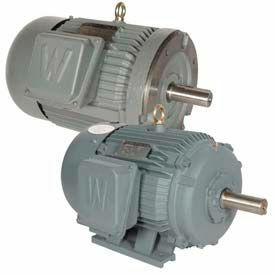 Three-phase motor is more efficient for high horsepower motor loads in industrial areas. High quality bearings for ease of use. Horsepower range from 1/3 to 3. Mountings are C-Face Footless, C-Face Rigid, Resilient Base and Rigid. RPM and additional specifications vary by model. Complies with the Dept. of Energy Small Motor Rule 2010 which took effect March 2015.